The battery is the heart of any RC car. Today, most RC cars use rechargeable lithium-ion batteries to power their motors. 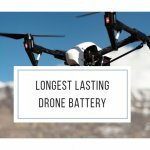 To keep your RC car running for longer hours, you need the longest lasting RC car battery on the market. There are many battery models in the market and each model has its own power rating, capacity, and other features. 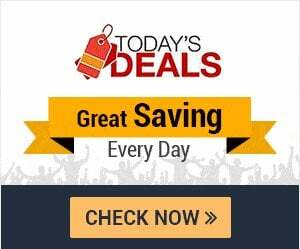 These features usually confuse many customers and many people usually end up buying batteries that are not efficient. However, we recommend that you use Lipo battery for RC cars since it is lightweight and more powerful than most RC battery models. Motor ratings apply on both brushed and brushless RC motors. KV rating is one of the features of motors and it is usually stamped on the surface of the motors. KV rating is also printed on the spec sheets of the motors. KV refers to the number of revolutions of the motor per minute without a load. To get the total RPM of your motor, you should multiply the voltage of the battery by the KV rating. The number of RPM usually reduces significantly when the motor is fixed in an RC car. This means that the longest lasting RC car battery will enable a motor to produce more RPM. Motors with high KV are faster when it comes to speed but unfortunately, they are less efficient than those with lower KV with a similar voltage. When running, motors with higher KV are known to produce more heat and they handle less voltage. Those with low KV will produce less heat when subjected to the same voltage but they have a lower top end speed. Always choose a motor that is balanced in between the extreme voltage levels to enable the longest lasting RC car battery to perform better. Horse Power of motors is also important in RC cars. You should not supply a motor with excess wattage. Each model of the motor has its own watt rating that should not be exceeded. Excess power is usually converted to heat and wasted and it can damage or even burn your motor if there is no fan to cool it. When choosing the longest lasting RC car battery, it should be of the right voltage to avoid damaging your RC motor. Electric RC cars can run using brushless or brushed motors. Each type of RC motors come with its own different electronic Speed Controller (ESC). 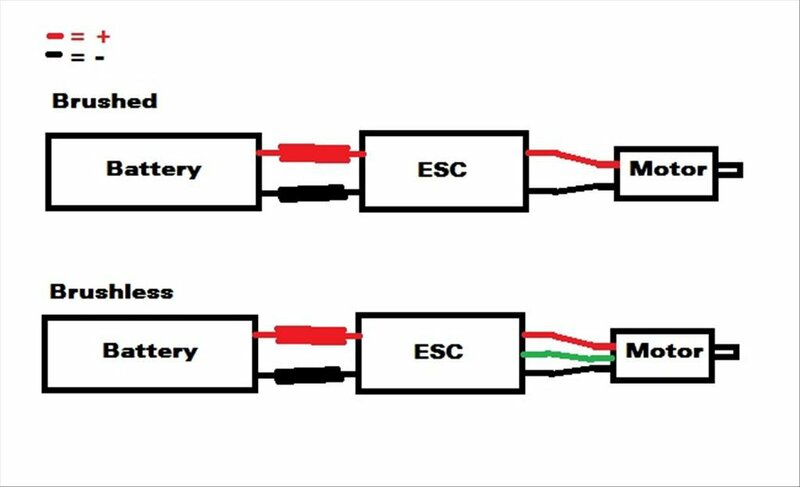 ESC is important since it prevents the motors from running at full speed when they are connected to power. Brushed motors usually have cheaper ESC as compared to brushless ones. However, brushed models are usually inefficient since they waste a lot of power by converting it to heat. Most brushless motors available in the market are usually faster, efficient and long-lasting. 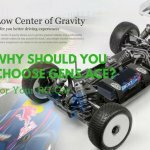 RC cars with brushed motors will run for a shorter distance as compared to brushless ones even if they are both using the longest lasting RC car battery. Another downside of using brushed motors is the cost of maintenance. Brushed motors and some of their components usually have an expiration date. In order to enable this type of motors to work properly, you should replace the brushes and the ESC every 6 months. The Longest lasting RC car battery should be used with brushless motors in an RC car to minimize the cost of maintenance. When it comes to Motor Turns, the number of turns significantly affect the speed and torque of a motor. A higher number of turns reduces the top end speed but increases the amount of torque. Heavy RC cars that have gears will need a greater torque to perform efficiently due to the weight of the car. 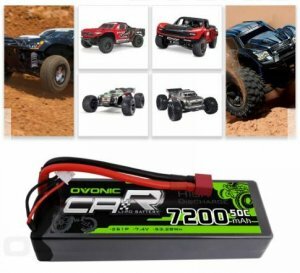 You can go for lightweight cars so that you have the longest lasting RC car battery. If you are shopping for RC motors, brushed and brushless models have some visual difference. Brushless motors are usually sealed completely and you will see three wires for power supply. Brushed ones usually have two wires for power and ventilation holes. 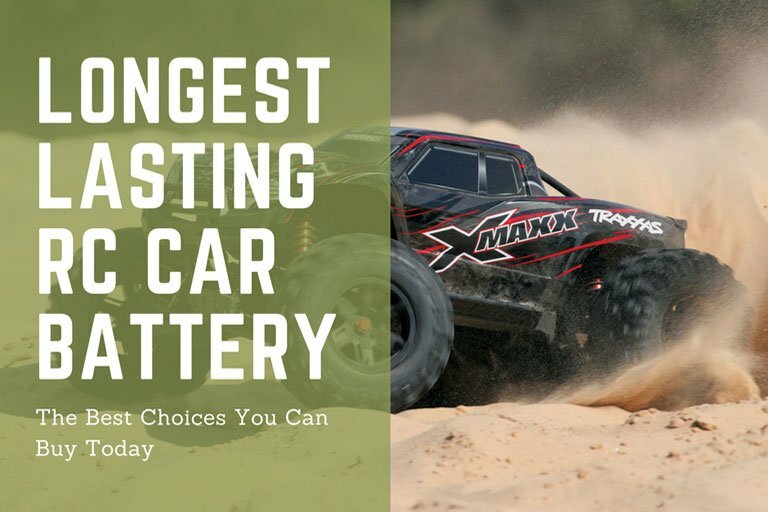 Observe these characteristics carefully when placing an order so that your longest lasting RC car battery can serve you for more times. It is important to note that when you are shopping for an RC battery, you should check the power rating. Power rating is measured in Milli Ampere Hour (mAh) and it refers to the capacity of the battery. If you need the longest lasting RC car battery, pick the one that has a higher power rating. This is because the higher the power rating, the longer the battery lasts which means that your RC car will run for longer times. In case you choose Lipo battery for RC cars, it will provide you with 7200mAh which are higher than that of many models. This amount of power can enable your RC car to operate for a longer period of time. This RC car battery can be used by different types of RC car models such as Rustler version, Traxxas Slash, HPI Strada XB-1/10-RTR Electric Buggy, Emaxx, Bandit, Kyosho GP-4WD Racing Truck among others. 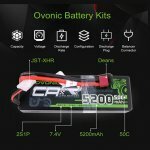 Its unique features and high runtime makes it the best RC car battery. 1. Every single cell has a capacity of 7200mAh due to a high discharge rate. 2. It has a long lifespan. 3. Its power and efficiency give RC motors remarkable performance. 4. Lipo batteries are of high quality with no imperfections due to automated production. 5. The battery pack meets all the RC battery standards and requirements hence it is safe to use. 6. It comes with a high power 5mm socket which has less resistance. 7. The batteries are protected by a hard case which has stylish stickers. 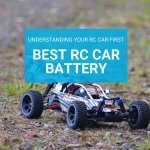 In summary, you need the longest lasting RC car battery if using RC cars is one of your hobbies. The features discussed above are the factors that determine the best RC car battery. Since you have learned all the basics about a good RC battery, you can help your friends to choose the best RC car battery by telling them Lipo battery for RC cars is what they need.